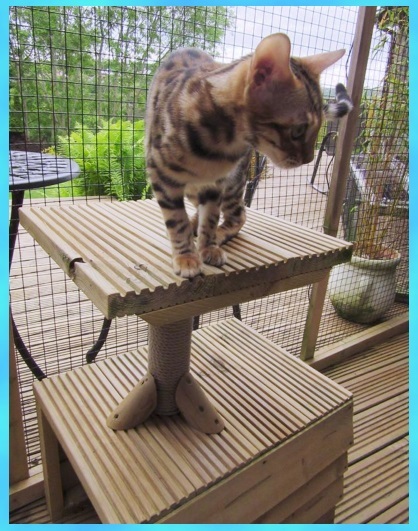 Whether you let your cat roam free or you keep them in an enclosure; no one can argue the need for cats to exercise and there natural desire to climb and sit up high. 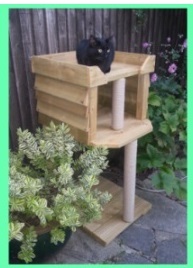 Our hand made outdoor cat climbing frames will help your cat satisfy these needs in a safe manner (no more calling out the fire brigade for a tree top rescue). 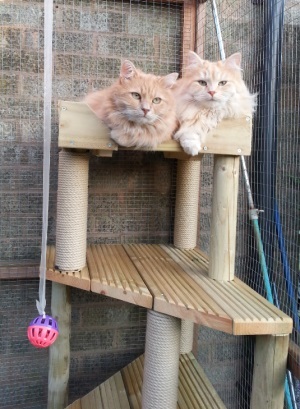 Our outdoor cat climbing frames are made out of wooden decking materials, so not only are they built to last, but also blend in with any garden environment. 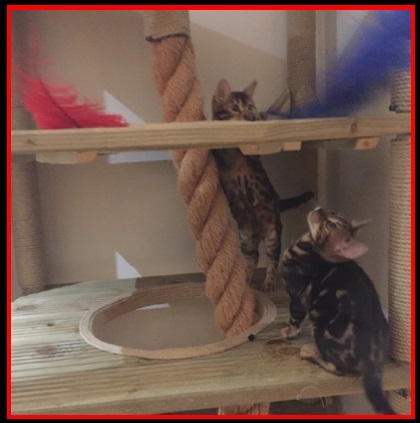 Cats naturally wish to sharpen their claws, and while they may have an indoor scratching post, they will still want to do so out side. 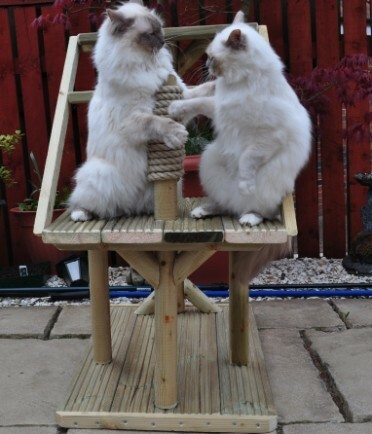 All of our outdoor climbing frames come with rope sections, just right for digging those claws into. 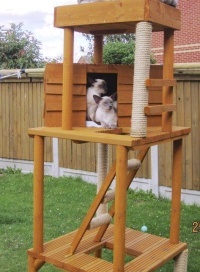 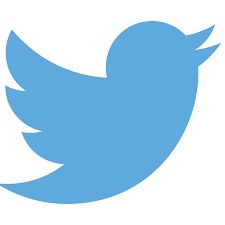 We only sell products that we think are of the highest quality and are sure that your cat will love their outdoor toy.